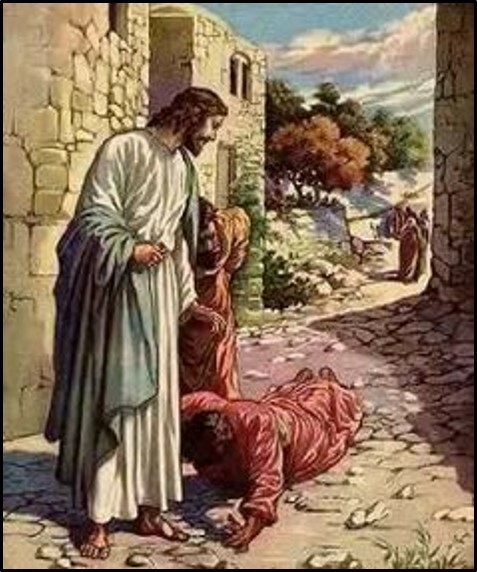 Perhaps there is no greater miracle message than when Jesus healed the 10 lepers. In his Tuesday morning lecture, my friend, Brownie Reeves, delivered a lesson based on this account from Luke 17:11-19. “The physical effects of leprosy are sickening, but it was the added social and emotional consequences that made it truly devastating,” Brownie observed. As a result, lepers were isolated from others in colonies. They were the outcasts of society. Untouchables. Pariahs. Persona non grata. So picture this pitiable sight. These 10 men disfigured and disgusting in their appearance, holding up fingerless hands and handless arms, maybe making a gurgling sound through their throat, standing afar off from Jesus crying out for mercy. The Great Physician heard and heeded their cry for help. “Go show yourselves to the Priests,” he ordered. And as they went, they were healed. Brownie’s message from this miracles was summarized with three basic lessons. (1) Since leprosy is often an analogy for sin, we all, like the lepers have a common affliction. Sin is ugly. Sin leaves us unclean. Defiled. Dirty. And doomed. Sin invades every area of a person’s being. It stains the heart. Scars the conscience. And soils the mind. Sin is the underlying cause of every social malady known to mankind. More seriously sin separates us from God. We stand afar off. Without Him we are hopeless, helpless and hapless. (2) We need God’s grace and mercy. Like the lepers we need to turn to the Divine Healer who can cleanse our sin-stained soul. He can make us whole again. He can remove the stigma. Restore our dignity. Revive us spiritually. His grace is unlimited. And His mercy is immeasurable. His compassion is endless. And His love is infinite. (3) Our response ought to be unrestrained thanksgiving. It is shocking that 9 of the 10 lepers went on their way without so much as a “thank you, Jesus.” Like the healed Samaritan leper our thanksgiving ought to be immediate and passionate. In humility, we should express our absolute devotion to the One who saved us from certain spiritual death. The ancient Roman orator and philosopher Cicero is credited with saying that “gratitude is not only the greatest of virtues but the parent of all other virtues.” Thinking people are thankful people. Let us never take for granted the gift of salvation and the eternal hope we have in Christ Jesus. May we with Paul, raise our voice in gratitude and proclaim, “Thanks be to God for His indescribable gift! (2 Cor. 9:15). Excellent article … thank you for sharing. I especially appreciated how you tie in 2 Cor. 9:15 to “wrap it all up”.